It’s time for another review! 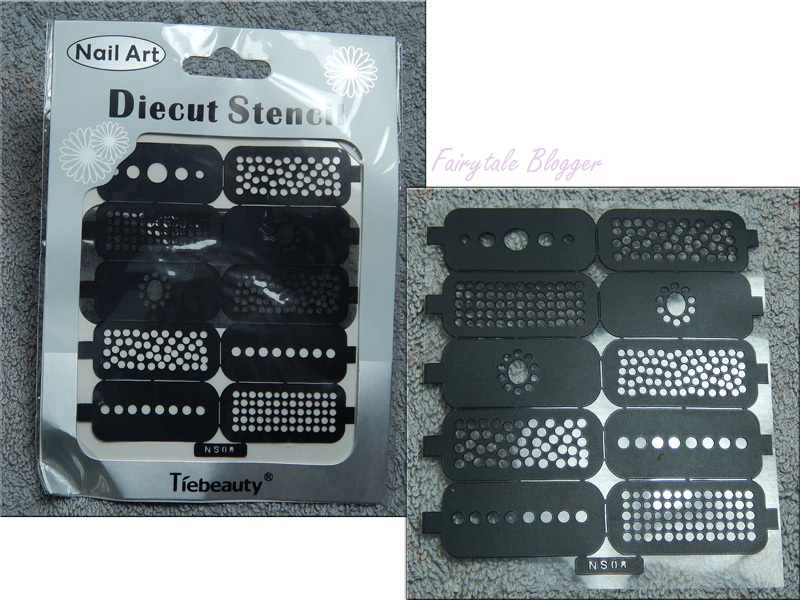 Today I’ll show you some nail art vinyl stencils from Born Pretty Store. They’re sort of like nail art tape, but with a pattern. 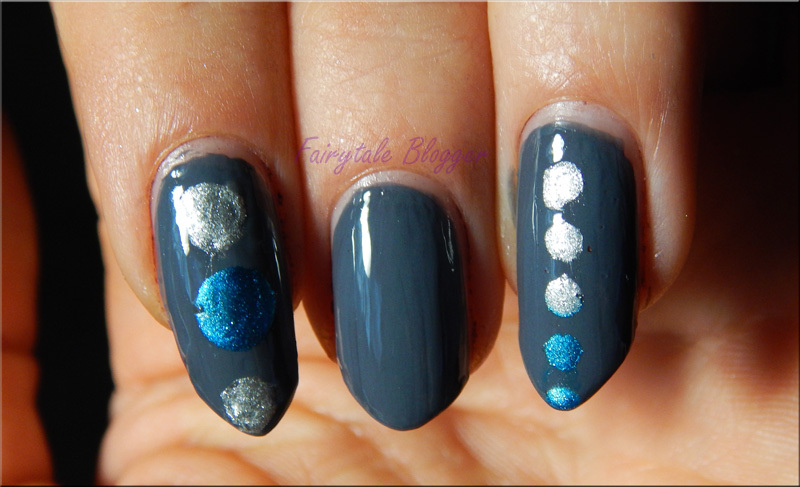 Seems like an easy way to get a nail art done, so let’s see how it goes! There’s 10 stencils in the packaging, and doubles of all, so I assumed they couldn’t be re-used. I like the diversity between them, and how they still keep to one theme. Of course there are also other patterns available on their website. On the back, they suggest using oil on the nail first, but I tried to just use them on their own (I’m guessing most people would be lazy enough to 😛 ). 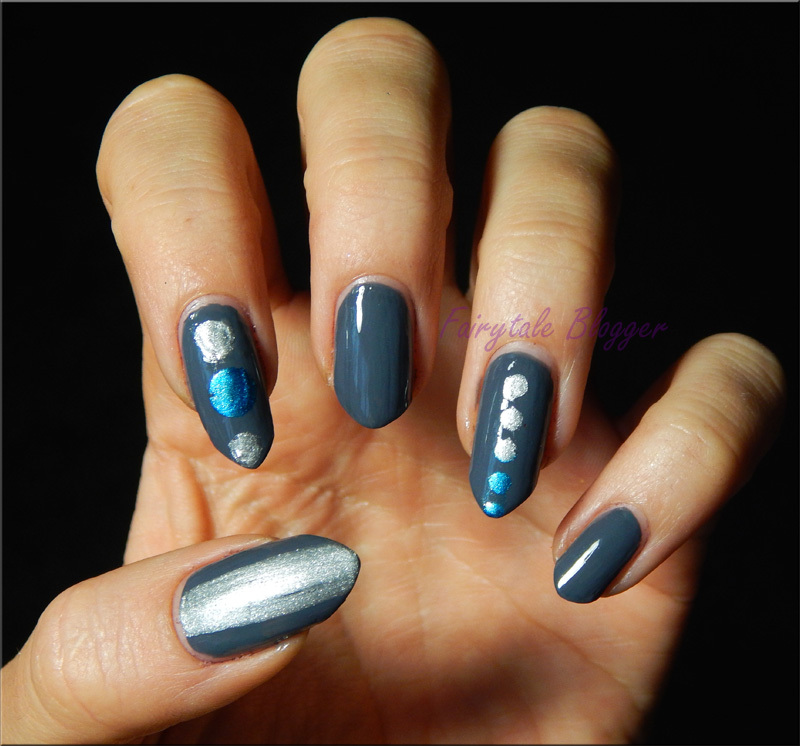 I started out with two layers of grey nail polish and let that dry for a few minutes. Then I stuck a piece of the stencils onto a towel to make it less sticky, before putting it onto the nail. And then, of course, I put some nail polish over it. Despite making the stencil lay on the nail as smooth as possible, some nail polish did seem to have gone underneath it. I do notice the effect is better when I wait somewhat longer, the dryer the added nail polish is, the cleaner the edges are! Also, the blue nail polish seemed to have performed better. It was thinner than the silver one, so I’m guessing that also makes a difference. 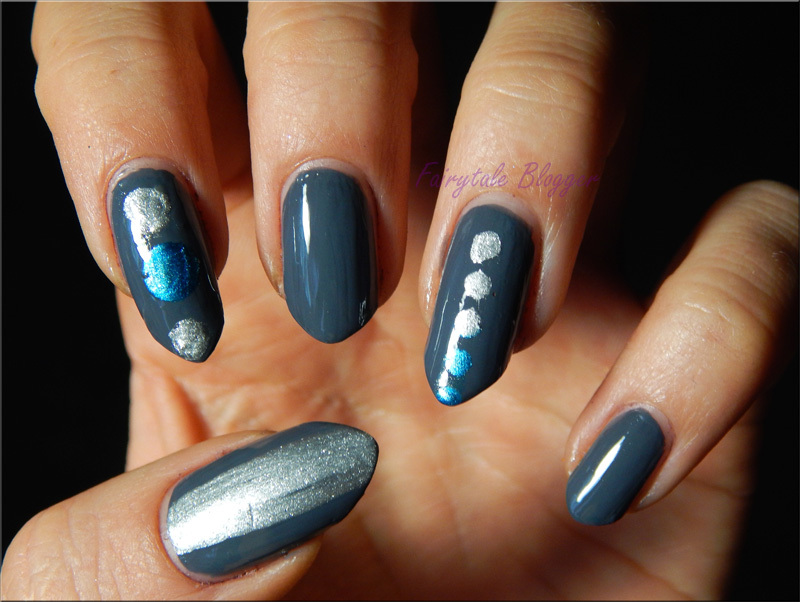 I think that, with some practice, this’ll be a quick and easy way to get a fun pattern on the nails. Personally, I think I’ll use it to create backgrounds for nail arts! 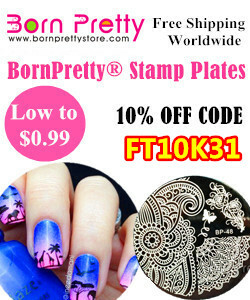 If you want to try these as well, they can be bought at Born Pretty Store here. Also the code FT10K31 can be used to get 10% off at an order! 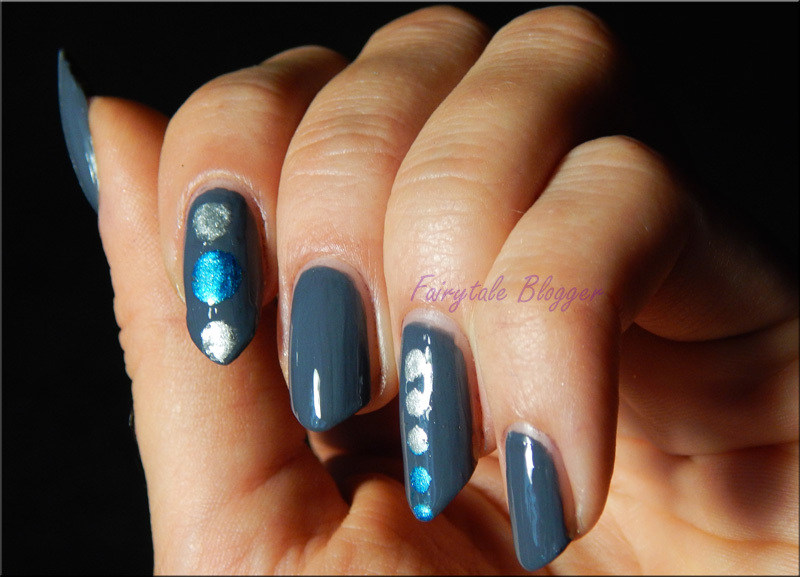 This entry was posted in Non-nailpolish reviews, Tutorials and tagged born pretty store, dots, easy, manicure, nail art, nails, quick, review, stencils, tape, tutorial, video. Bookmark the permalink.